Our Little Bangkok Sangha is back in business this January! Michelle McDonald will share her extensive wisdom gained from teaching meditation retreats for several decades. She is a founder of Vipassana Hawaii, along with one of our regular teachers Steven Smith, and has been a long term meditation teacher in the Mahasi school (Burma) where she is one of the foremost teaching followers of Sayadaw U Pandita. There is no fixed charge for this event – donations will go to Michelle’s travelling expenses. We are very grateful that she has taken the time to join with us in Bangkok on her way to Burma where she will lead a month long retreat. 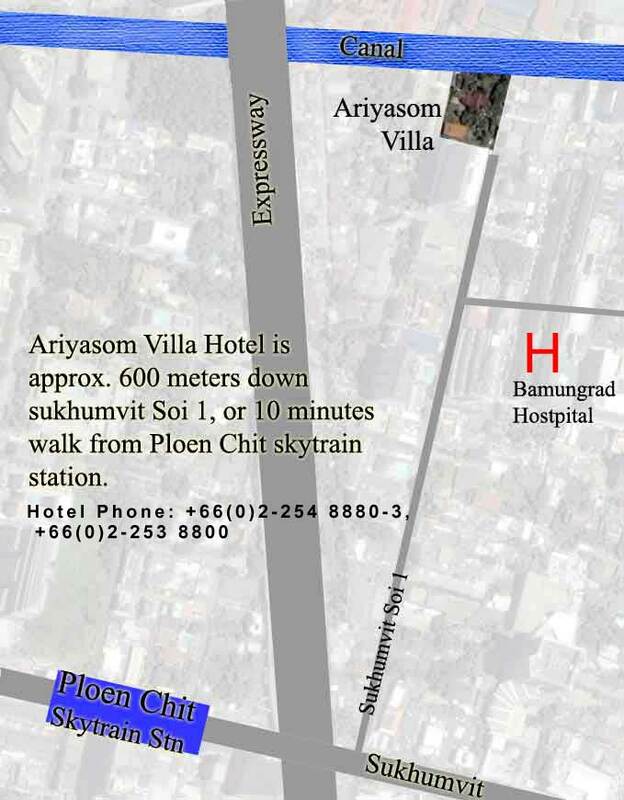 Do down the soi to the end, and the hotel is on the left hand side. You can also take a motorcycle from the mouth of the soi.